wanted to give you all a super yummy breakfast recipe that you will have a ton of fun making and eating. I recently found out that I have a mild gluten allergy. I was pretty upset because I love basically everything with gluten. I eat bread in some form every day, and I thought I was doomed to live a breadless life. Well, that might be a bit dramatic, but still. I was planning on showing you all how to make some Cinnamon French Toast with a Homemade Glaze. 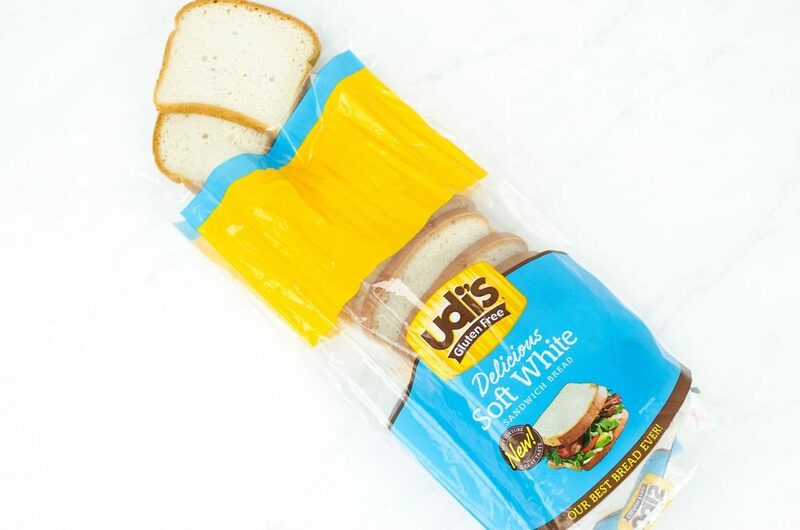 I found Udi’s® Gluten Free Delicious Soft White Sandwich Bread and now I can live normally and eat my bread without the negative effects from gluten. Now I don’t have to choose another recipe to share with you all. Delicious breakfast here we come! 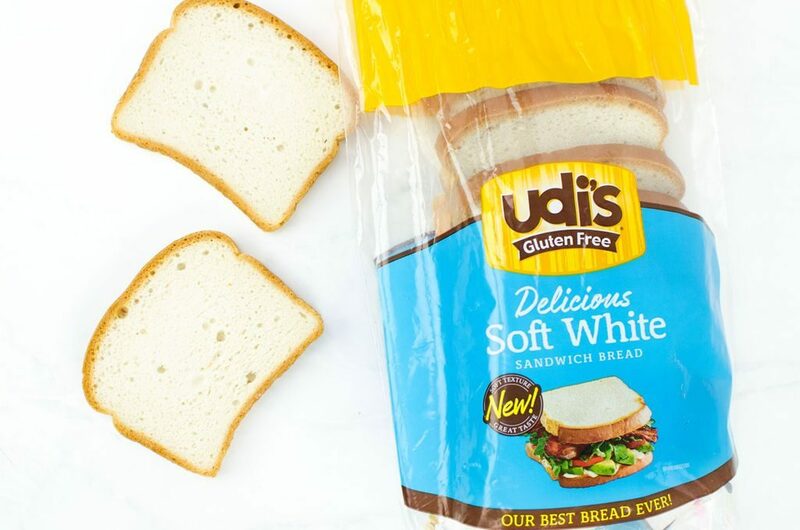 Udi’s bread is the only gluten free bread that doesn’t make me sacrifice texture or flavor. My husband doesn’t have gluten allergies but Udi’s bread has the perfect texture and it’s full of flavor so he doesn’t mind the switch one bit. I can still enjoy bread and it always has a fresh from the bakery taste. Not to mention it’s perfect for recipes just like this one. 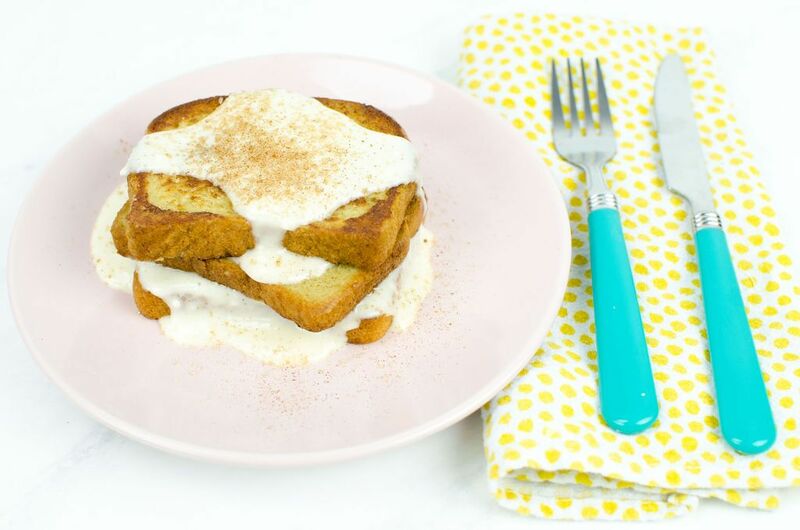 This Gluten Free Cinnamon French Toast with Cream Cheese Glaze is mouthwatering. I can’t wait to show you all how to make it yourselves. It’s sweet and cinnamony and the glaze is so creamy and delicious. You will love making this on a lazy Saturday morning. My husband and I had a deal; I made the French toast while he made the glaze.. 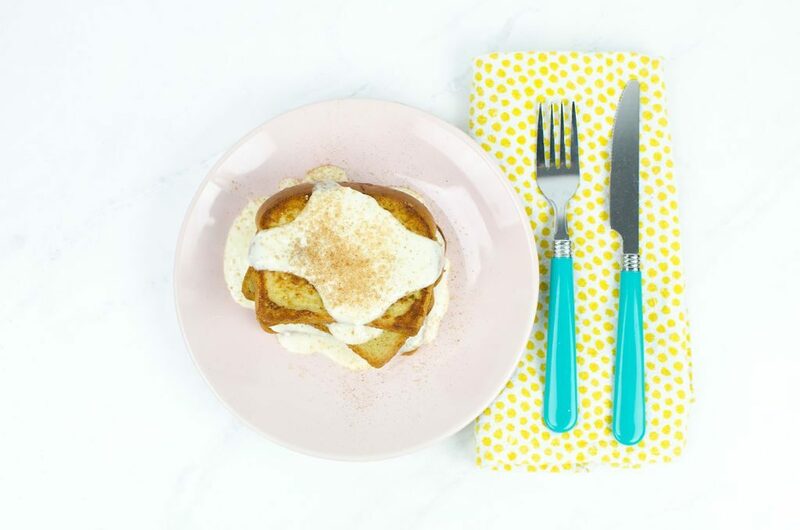 This recipe is pretty sweet with all of the cream, sugar, and cinnamon, but Udi’s bread has vitamins and minerals as well as 8 grams of whole grains per serving. We picked up the 24 ounce bag in the frozen/gluten free section of Publix, and from 1/6/19 – 3/10/19 (while supplies last) you can do the same and save $1.30! Click here for savings! Keep reading to see the rest of the ingredients and step-by-step instructions on exactly how to make it yourself. 1. 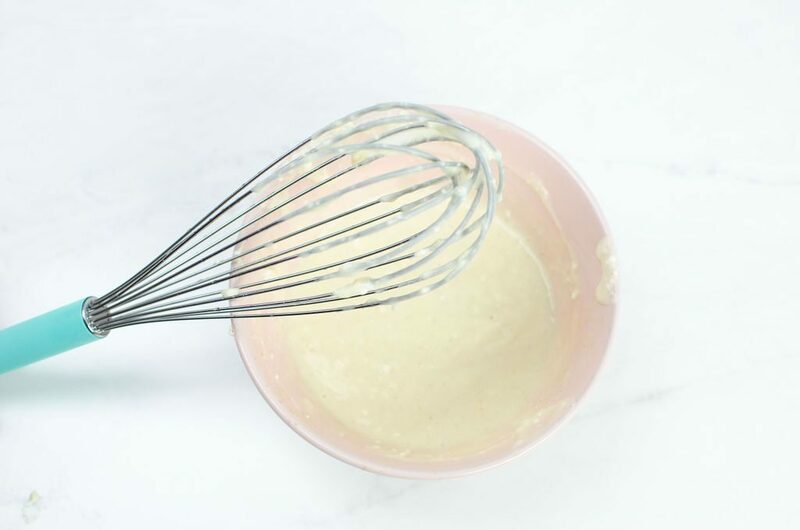 In a mixing bowl, add all of your ingredients and whisk together until there are no lumps and you have a smooth glaze. If you have lumps, odds are your cream cheese wasn’t room temperature. 1. 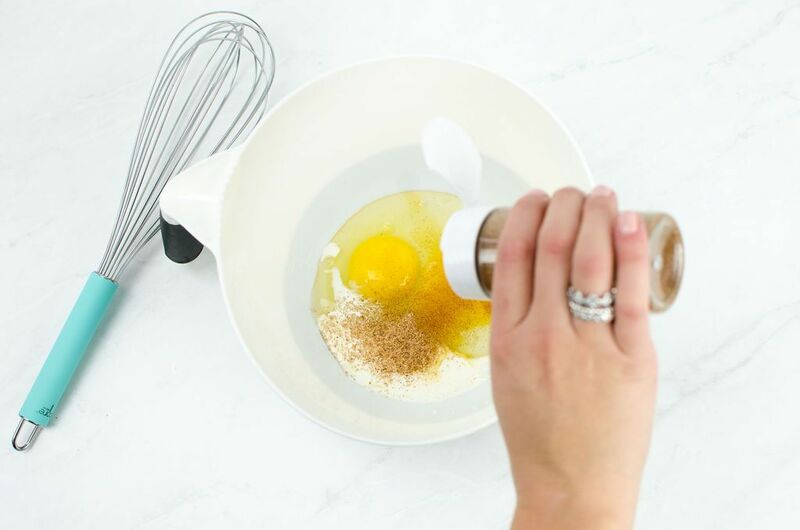 In a mixing bowl, combine the eggs, heavy cream, cinnamon, and vanilla. Whisk until it’s all combined. 2. Dip each slice of bread into the egg mixture. 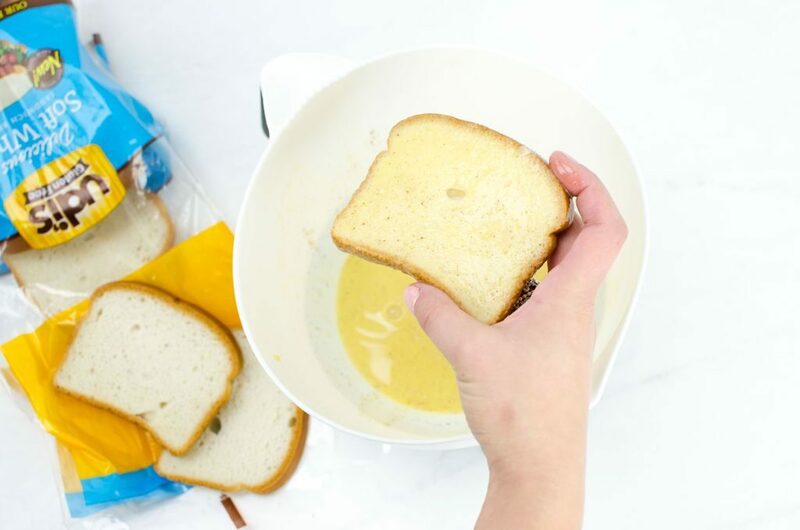 Lay the bread slices onto a heated skillet with butter. Flip when one side is golden brown. 3. 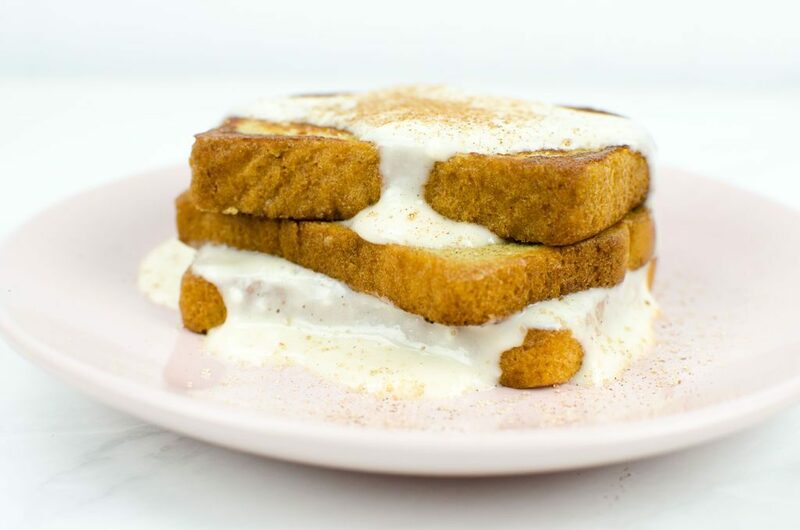 Once your French toast is done, stack them onto a plate and generously pour your homemade Cream Cheese Glaze over them. You can even add another sprinkling of cinnamon as we did. What did you think about this easy breakfast recipe? 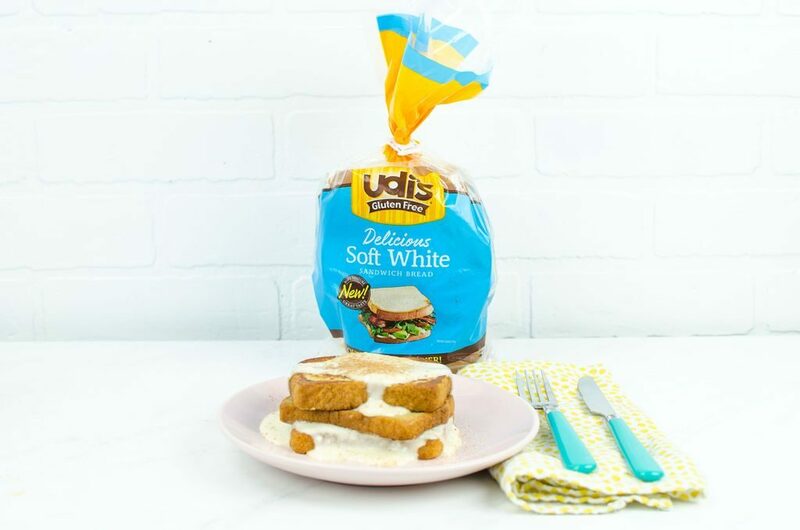 Udi’s bread is a real game changer for those of us seeking great certified gluten free bread. Their 24 ounce loaves are even 30% larger (mirroring a conventional sandwich bread) plus dairy and nut free. Udi’s really kept the consumer in mind when they developed a bread like this. I’m so happy to be enjoying bread again! I love making new recipes for my family every week, and this one is definitely a keeper. 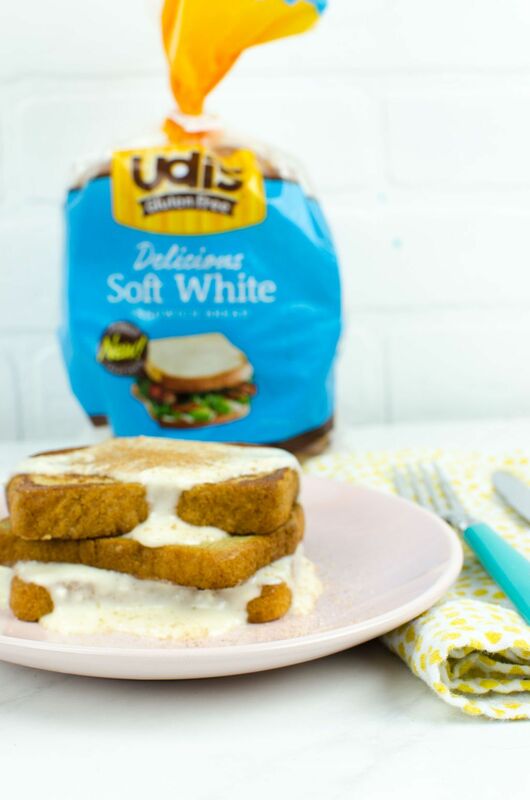 With Udi’s bread, I don’t have to worry about any side effects of gluten in the recipes I make, I can just enjoy them worry-free. I hope you enjoyed this recipe and will make it for you and your loved ones this week!